The Premiere Atlanta Demolition Contractor Says: "Hi!" 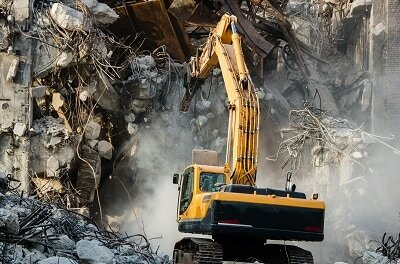 Atlanta Demolition is not your typical unorganized and sloppy demolition company. 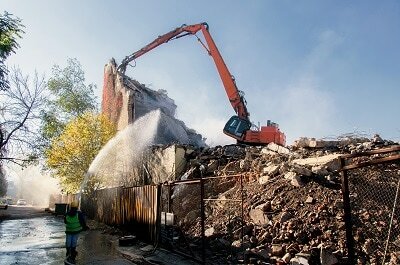 ​We take each demolition in Atlanta seriously and put in all our effort and focus on a safe and successful demolition process. Being in this part of the construction industry, can be very dangerous not only for the demolition crew, but surrounding buildings and people. This is why we apply tested safety procedures that are successful 100% of the times. 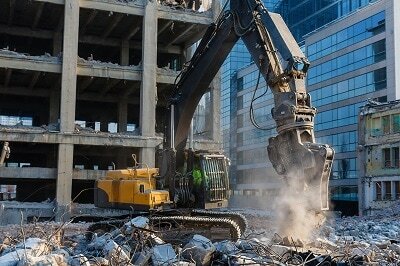 Whether you are in need of residential or commercial demolition in Atlanta, we got your back...and your building. 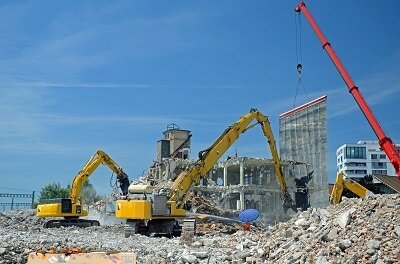 ​All our Atlanta demolition contractors and engineers are fully licensed and backup checks have been conducted on each and every one of them. We are extremely strict on professional behavior and hard work on the construction sight. 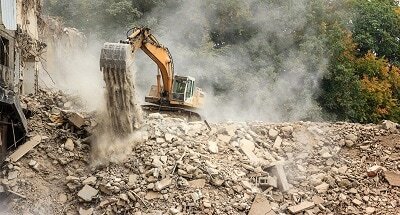 Our company has been conducting total & partial demolitions for a great number of years in Atlanta, Georgia and beyond. We have been rated as the #1 deconstruction company in the whole Atlanta metropolitan area. You can have a look at our reviews on our website and we can even provide you with phone numbers to past clients, whom you can contact yourself. No project is too small for us. 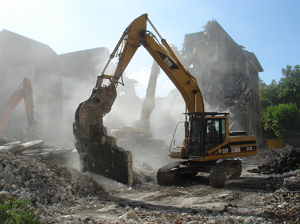 We got crews that specialize in residential demolition and other team members that focus on commercial and big building decommissioning and abatement. We take full responsibility of a project from beginning to end. So we are going to be the ones in charge of taking the building down, removing all the asbestos and scattered building materials, and keeping the ground below it clean and in perfect shape. So after the house/building demolition is completed, we will move on to concrete breakdown and removal. So after we have cut all the building materials in “removable pieces” we will conduct a full debris removal. By the end of the project, we will also have conducted a land leveling process to make sure the ground below is “qualified” for a new structure. You don’t have to worry about a thing. Get on the phone with us, express your wish to us and some detail on the project. 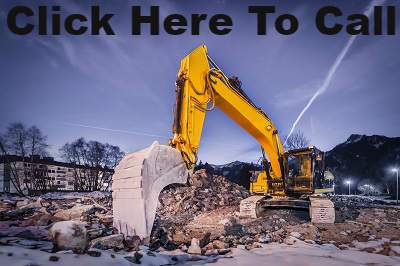 We will then arrange an appointment, in which not only will you receive a detailed demolition quote and bid, but you will also get ideas and advice from our top demolition consultants. ​That’s right! We will be bringing the smartest knives in the drawer to the project and the brightest people in America, to handle your project. Our love for team work is probably the main thing that sets us apart and makes us the top demolition company in Atlanta, GA. We are your top demolition specialists! 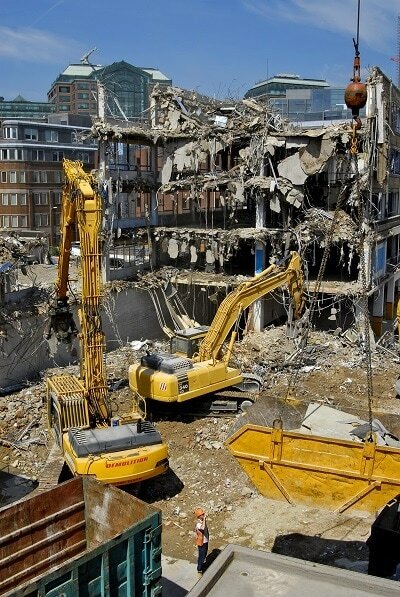 The greatest part of what we do (besides being fully professional and ensuring safety), is the fact that we offer top notch demolition procedures at the smallest cost possible. We don’t have a flat “per square” price that applies to everyone. We consider the building materials, the area in which it’s located and thus how easy it is to take it down but most importantly: we consider you. That’s right! We want to make the whole process as convenient and affordable possible. 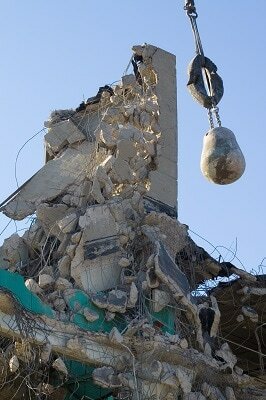 That is why we give you free demolition quotes on your project. Get on the phone with us, and we will walk you step by step through the expenses you will need to consider for the project. This will help both parties: You will get an idea of what to expect (and the completion time frames) and we will know on our end with this demolition estimate how to organize our crew, create a plan of action and get working on sketching out the deconstruction process, step by step. So giving you an idea of the way the project will run, will also give us an idea on things like: how many demolition trailers and asbestos removal tools will we need, how many demolition excavators are we going to use, what’s the number of construction workers required, what will be the pace of the project etc. ​That’s the flexibility we have as a company in our industry, that allows things to move forward in a quick and safe pace without needing to jump over loops to get the job done. As soon as we get your trust and signal to start working on the target building (whether that by a home or commercial building) we are going to get right to it. Although we will have thorough and fully informative meetings, when it’s time to work we’ll work. We won’t chit chat on the phone, discussing about things that don’t matter or are mentioned just to chew up time and make us look busy. We are only going to be considered busy when on the sight and that’s our promise to you! Atlanta Demolition, Southern Demolition, Green Circle Demolition, yawn. I’m pretty sure these guys do a decent job for their clients. But we’re? The Porsche of demolition services. If you want a demo company that pays attention to detail, and takes a building down in the most safe and sound way (without creating damage to nearby buildings) as opposed to Tommy the demolition man that doesn’t know where the heck the target building is and does a crappy job managing his crew and engineers, then you should definitely call us. ​We are here to work for you and to ensure a professional, safe and affordable wrecking & cleanup process. But anyone can toot their own horn right? That’s why we suggest you get in touch with the clients we were blessed to work with. I can see them now raising their hands in the background, wanting to vote us as the #1 Atlanta demolition company in Georgia. That building isn’t going to come down by itself (unless a big hurricane hits it.) So what are you waiting for? Call us today! Put your faith and fate of that building - whether commercial or residential - in the best demolition contractor in Atlanta, Georgia! We promise you, you won't regret it and it'll be the best thing you do! When talking with us on the phone, mention the website and maybe we’ll throw in a little something extra. Hint: we will.